Generally easy to grow and enjoy a sunny position on the rockery, usually spring flowering but we also offer two autumn flowering species. Plant in clumps about 7cm deep, some varieties may also be used for naturalising. Five to twenty starry lilac-blue to violet flowers per raceme on short stems to 10cm, makes a delightful sight in September & October, the image really doesnt do it justice. 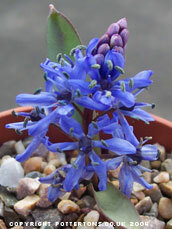 A marvelous little Scilla for naturalising in the garden, masses of little starry dark blue flowers to 10cm in February to March. 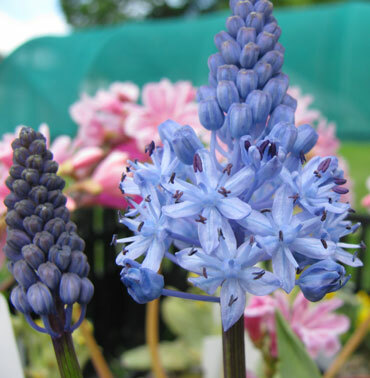 A wonderful Autumn flowering species with compact spikes of china blue flowers up to 20cm tall. 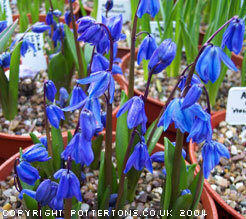 Easily grown in an alpine house or bulb frame, native to North Africa. A large bold species which produces attractive scented bluish-lilac, bell-shaped flowers to 25cm in May-June. This is a popular plant for semi woodland or shaded border in sun or light dappled shade. Very hardy. Delicate light blue flowers with darker stripes down each petal. 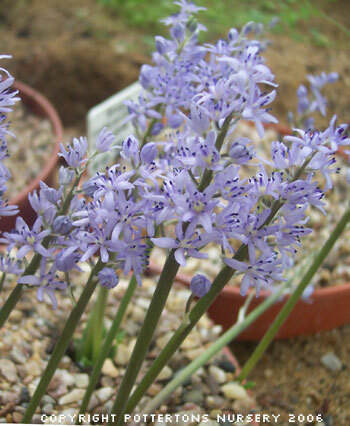 Each bulb gives three or more scapes with three or more flowers. Fully hardy, flowers at the same time as snowdrops and winter aconites from January to early March and can make a very attractive group planting when combined with these. 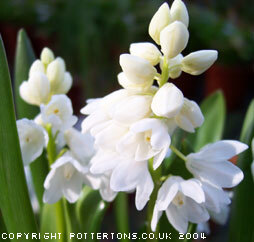 A welcome addition to your rockery, raised bed or border & is undoubtedly one of our favourite winter flowering bulbs. Stout stems up to 30cm bearing large conical heads of deep blue flowers from late April through till early June. Requires a rich, well drained soil in good light. Very large bulbs. Lovely autumn flowering species with many starry pink flowers on stems up to about 20cm. 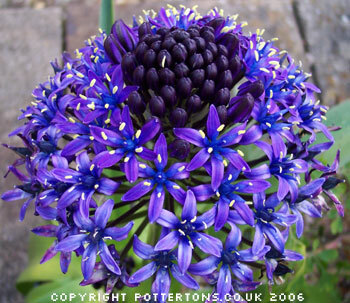 A truly invaluable and excellent vibrant colour form with numerous strong, dark blue flowers in late February to mid March. 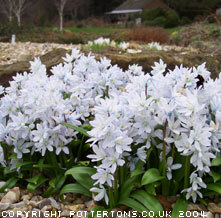 A planting that always stands out in the rockery at a time when no other blue flowers are showing. White form of S. siberica flowering in late February to mid March, hardy. ^ Back to top of page.